Treatments can be administered in any clothing. Learn about your mind, body and digestion from a holistic Ayurvedic perspective. Come to a deeper understanding of your dosha (metabolic disposition) and the contributing factors that affect your current state of health. Receive education on how to bring yourself into optimal balance through creating a prosperous relationship with food, physiology and the mind. Expect the unexpected. Marma points bring awareness to our body. If there is stress, the release may be uncomfortable. Otherwise, treatments are generally relaxing and leave us feeling light and relieved. 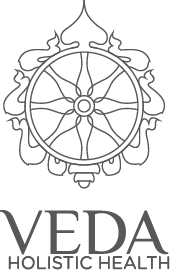 Expand your understanding of food and nutrition through Ayurveda. Meet at a spice shop, grocery store or farmers market and get a guided tour of the smart way to source food.